Choose a soft padded leather dog harness for stop dog barking. No barking dog muzzle is a special model to resolve this problem. 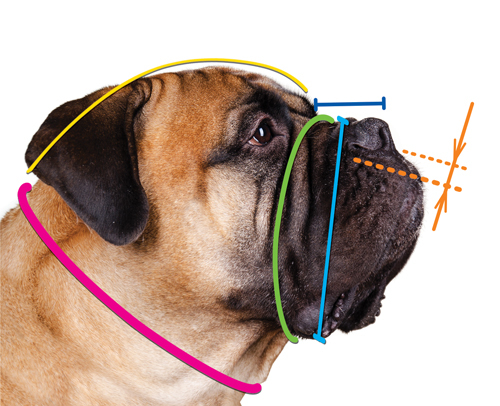 In general, mastiff dog breeds have a calm and friendly temperament and rarely bark without reason. 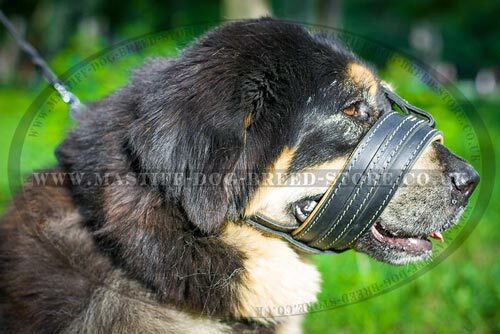 But if you need to hold your dog silent in some definite situation, or wish to find a soft dog muzzle for dog walking with comfort, this stop dog barking muzzle is a perfect choice for this purpose. 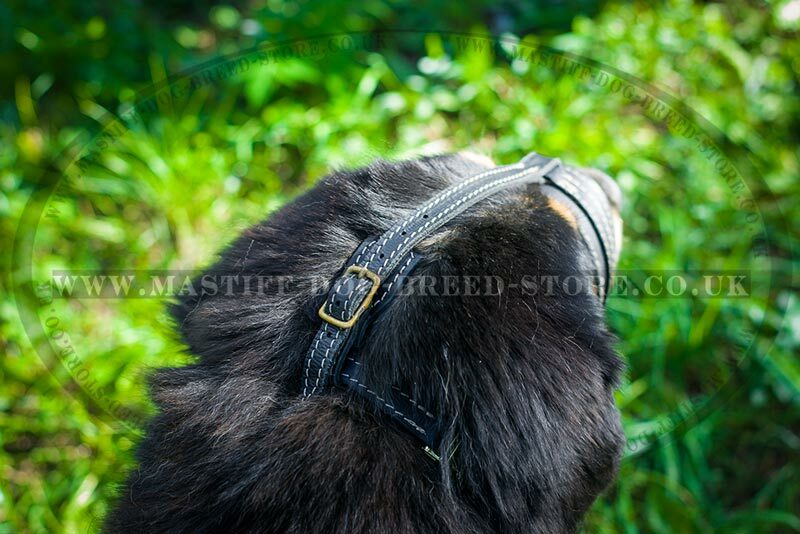 It is a reliably stitched, strong dog muzzle for large dogs. It's loop dog muzzle design keeps dog snout from barking. But turn your attention, that a loop dog muzzle will not prevent biting or picking up from the ground. We care of comfort of your dog. Luxury dog muzzle design is completed with soft Nappa lining (calve leather). Natural leather color of lining makes it look elegant. Soft padded dog muzzle will not rub dog snout. This soft dog muzzle is reliably fixed on dog's head. It is not easy for a dog to take it off with its paws. The stop dog barking muzzle is fastened by 2 classic buckles and one quick release made of brass. It is rustproof and reliable. 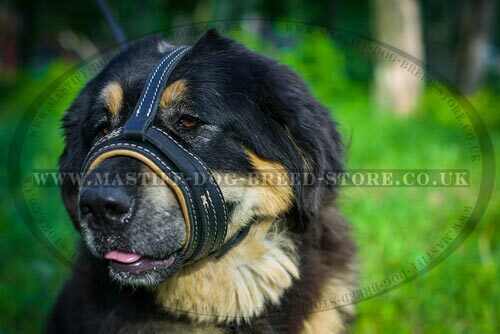 Once you fix this dog muzzle maximum comfortably for your Tibetian Mastiff size (or other dog breed) you will need to take it on/off with one easy move of a quick release.